HON. JAMES B. BRADWELL. This distinguished gentleman, an excellent portrait of whom is herewith presented, was born April 16, 1828, at Loughborough, England. His parents were Thomas and Elizabeth (Gutridge) Bradwell. The family left England when James was sixteen months old, and settled in Utica, New York, where they resided until 1833, when they removed to Jacksonville, Illinois. They went from Jacksonville to what is now Wheeling, Cook County, Illinois, in May, 1834. The family made the trip in a covered wagon drawn by a span of horses and a yoke of oxen, and, although the distance was but two hundred and fifty miles, it took twenty-one days to complete the journey. Young Bradwell spent a number of years upon a farm in Cook County, splitting rails, breaking prairie, mowing and cradling in the old-fashioned way, which aided to give him that strength of body and mind which he possesses at the age of sixty-seven. His early education was obtained in a log schoolhouse; later in Wilsons Academy, of Chicago, in which Judge Lorenzo Sawyer, of California, was tutor; and was completed in Knox College, Galesburg, Illinois. He supported himself in college by sawing wood and working in a wagon and plow shop afternoons and Saturdays, where he often had to take his pay in orders on stores, which he discounted at twenty-five cents on the dollar. This resulted in the young man taking an oath that if ever he lived to employ men he would never pay them in orders or truck. Although he has paid hundreds of thousands of dollars for wages, he has religiously kept his oath. For a number of years before his admission to the Bar he worked as a journeyman at several different trades in Chicago. He is a natural mechanic, and, believing with Solomon that the rest of the laboring man is sweet, he aimed, even when on the bench and at the Bar, to devote a portion of every day to some kind of manual labor. It is said that he could earn his living to-day as a journeyman at any one of seventeen trades. As a process artist he has few superiors. He invented a process of his own for doing half-tone work, and has the honor of having made the first half-tone cut ever produced in Chicagothat of Chief Justice Fuller, of the United States Supreme Court. Nearly forty years ago he was admitted to the Illinois Bar, and, being a good speaker, a bold, dashing young man, and considerable of a hustler,  he succeeded in building up a large and paying practice. In 1861 he was elected County Judge of Cook County by a larger majority than any judge had ever received in the county up to that time; and in 1865 he was re-elected for four years. 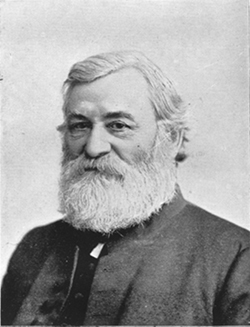 Judge Bradwell was elected to the Legislature of Illinois in 1873, and re-elected in 1875. He has held many offices in charitable and other institutions; presided at Cleveland during the organization of the American Woman Suffrage Association; was President of the Chicago Press Club; President of the Chicago Rifle Club, and for many years was considered the best rifle shot in Chicago; President of the Chicago Bar Association; President of the Illinois State Bar Association, and for many years its historian; President of the Chicago Soldiers Home; Chairman of the Arms and Trophy Department of the Northwestern Sanitary Commission and Soldiers Home Fair in 1865; one of the founders of the Union League Club of Chicago, President of the Board of Directors the first year, and the first man to sign the roll of membership, Long John Wentworth being the second; he has been President of the Chicago Photographic Society, and was Chairman of the Photographic Congress Auxiliary of the Worlds Columbian Exposition. When on the Bench he ranked as a probate jurist second only to the distinguished surrogate, Alexander Bradford, of New York. He was the first judge to hold, during the war, that a marriage made during slavery was valid upon emancipation, and that the issue of such a marriage was legitimate upon emancipation and would inherit from their emancipated parents; or, in other words, that the civil rights of slaves, being suspended during slavery, revived upon emancipation. The opinion was delivered in the case of Matt C. Jones, and was published approvingly in the London Solicitors' Journal, and fully endorsed by Mr. Joel Prentiss Bishop ten years after it was rendered, in one of his works. Judge Bradwell was the friend of the widow and the orphanan able, impartial judge. He was an influential member of the Legislature, and aided in securing the passage of a number of measures for the benefit of the State and the city of his adoption. He holds advanced views as to the rights of women, and introduced a bill making women eligible to all school offices, and, mainly by his influence and power, secured its passage; also a bill making women eligible to be appointed notaries public. Judge Bradwell has taken the Thirty-third and last degree in Masonry, and is an honorary member of the Supreme Council with its Grand East at Boston, and also an Honorary member of the Ancient Ebor Preceptory at York, England. He has recently published a neat volume of Ancient Masonic Rolls and other matter of interest to the order, showing that there was originally no provision against the admission of women to the fraternity.  Submitted by Sherri Hessick on January 30, 2001. DISCLAIMER: The submitter is not related to the subject of this biography nor is she related to anyone mentioned in the biography.